This is a proposal by Dublin City Council to construct a section (450 m) of Dodder Greenway along previously undisturbed riverbank habitat between Donnybrook Bridge and Herbert Park at back of the Rugby Stadium. It’s being done now, in advance of the overall Greenway, so it can be incorporated into the flood defences in this location. Dodder Action supports introducing a Greenway section here as part of our ‘Preferred Greenway’, a wildlife, heritage and educational amenity resource for Dublin, and a tourist attraction. By this we mean a Greenway that adapts to the river and its existing character as a designated Conservation Area. 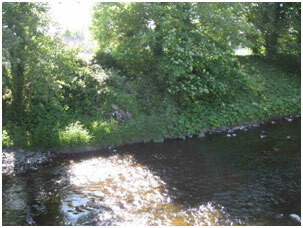 There is no point in gaining Greenway access to the amenity of the Dodder if it results in the loss of that amenity. CLICK HERE to read or download Dodder Action's submission and suggested amendments on this Part 8.